Our not-so-recent trip to Paso Robles featured the newly-revitalized Canyon Villa and Field Recordings Winery. In this second review we’ll look at two old favorites (Jack Creek Cellars and Kenneth Volk) and two that were new to us (Venteux and Sextant). We’ll also mention a place worth stopping by, but not necessarily for wine tasting. Nancy and Craig Stoller learned winemaking from the ground up. Craig is the third generation owner of Sunridge Nurseries, noted for their relationships with French, Spanish and Portuguese winegrape growers. They import top-quality vines and cultivate them for sale to vineyards. Founder Glen Stoller opened the nursery in 1977. 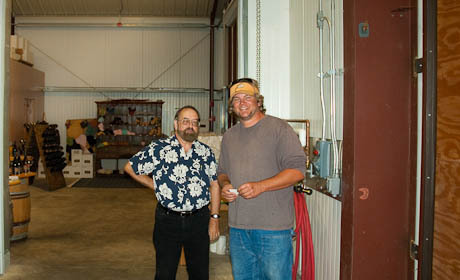 Craig joined the business in 1991, again working from the ground up. In 2002 the Stollers planted vines in Templeton. Ironically they threw away the grapes. They were after the cuttings from the vines. Two years later, sanity prevailed and they began harvesting the grapes. 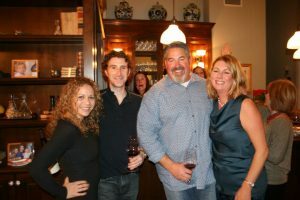 In 2007 they opened their first tasting room. But it wasn’t until 2011 that a good property on Highway 46 west became available. 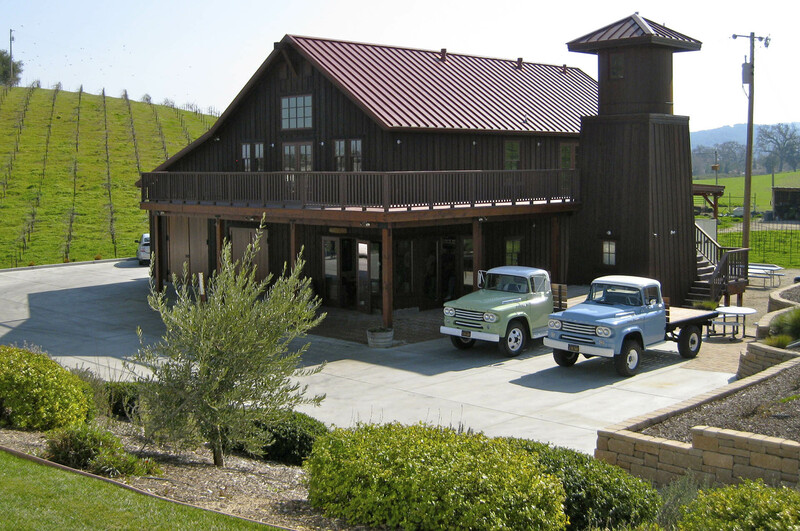 They bought it and built their winery and tasting room. The Sextant 2014 grenache blanc ($21) opens with aromas of pineapple and anise. The palate is gravelly, featuring slate and other minerals with hings of apples and kiwi. Their 2013 Santa Lucia Highlands reserve chardonnay ($28) features floral aromas with white peaches on the palate. The persistent butter and oak finish shows a good combination of oak barrels and malolactic fermentation. The 2013 Edna Valley “Windemere Premier Cuvée” pinot noir Edna Valley ($25) is, sadly, currently only available in the tasting room. Raspberry and cherry aromas give way to an explosion of black cherries and spice flavors. The acid finish calms down with a bit of air. This is a major bargain. But you’ll have to travel to Paso Robles to get it. Another 2013 pinot noir is from Santa Lucia Highlands ($25). Naturally, this wine has more depth than the Windmere, opening with fragrances of strawberries and lavender. This wine is a fruit bomb on the palate, loaded with black cherries and ramping up to a butterscotch finish. Moving on to the more aggressive reds, the 2012 Holystone Zinfandel ($28) has terrific aromas of violets and cedar. It’s great on the mid-palate, featuring almonds and graphite. The finish is a bit astringent. Wait a year to open this.. The closing wine was the 2011 Passage GSM ($45). Technically this wine is GSP, with petite sirah substituting for mourvedre: 68% syrah, 20% grenache, and 12% petite sirah. Aromas of chocolate and black fruit, followed by chocolate and black raspberries on the palate. Venteux is a joint venture between the Steizle and Goldberg families. 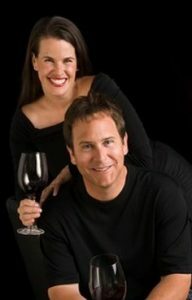 Scott and Bobbie Steizle released their first vintage in 2006. But in 2010 they ran into financial difficulties. Enter internet entrepreneur Adam Goldenberg and his wife Patricia. With their new financing Scott and Bobbi have not only stayed afloat but expanded, acquiring the 12 acre property next door. That was a fortuitous acquisition as the property included a three-bedroom house that visitors can rent. In addition, there are two second-floor apartments. 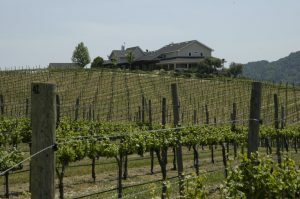 The combination of vineyards, winery, and accommodations is becoming increasingly popular in Paso Robles, probably because the region is very large. (In Germany, this is a common practice. We stayed in several wineries on our visit a few years ago.) In any case, Scott has no plans to increase production much beyond the current about 2,000 cases per year. Venteux’s 2013 Fleur Blanc ($28) is a classic Rhône-style blend: 60% viognier, 20% grenache blanc, 15% marsanne and 5% picpoul blanc. You’ll be greeted by a smoky aroma with some spice, followed by more smoke on the palate. This wine is crisp, light, and good stuff. Their 2011 grenache ($34) is blended from three different vineyards: Starr Ranch, Rolph, and Alisos Canyon. Aromas of almonds followed by flavors of spice and strawberry. The 2010 cabernet sauvignon ($48) will be great for those who like traditional cabs. Again there are grapes from three vineyards: Adelaida Springs, Chelle Mountain and Starr Ranch. Aromas of earth and red raspberries followed by red currant and spice flavors will satisfy most cab fans. We’ll have a piece on wineries for millenials coming soon. It will feature Tooth & Nail as well as a few others we’ve found. For now, we’ll give you one photo and our advice: explore this place but taste the wine at your own risk. We have been members of the Jack Creek Cellars wine club for many years. This visit solidified their position as one of the premier, best value wineries in California. Doug and Sabrina Kruse, ably assisted by Brette Womack, continue to grow terrific grapes and make great wine. Their 2013 estate chardonnay ($36) has hints of oak and malolactic fermentation, but it’s mostly just chardonnay. Aromas and flavors of Meyer lemon are a nice balance to the acid. Also from 2013 is the estate pinot noir ($36). This wine has aromas and flavors of bing cherries and raspberries. Although the tasting notes on the website suggest it should be ready to drink in the spring of 2014, there is still a touch of tannins, meaning the wine probably could use another year or so in the bottle.. The final 2013 is the estate reserve pinot noir ($44). This is bigger and bolder than the non-reserve, featuring more tannins. The aromas and flavors are darker, featuring black cherries, huckleberry and spice. Again, the website says to drink this between 2016 and 2023. We suggest waiting until 2017. The last wine was a 2011 estate grenache ($40). The profile is cherries, rose petals and spice. We agree with the website: this should be cellared until 2018. For a few years we were members of Kenneth Volk’s wine club. He continues to do some of the most interesting wine experiments that we’ve encountered. We have fond memories of the couple of years when he produced two pinot noirs from the same grapes: Old World Style and New World Style. That was not only interesting, it was also educational. And his work with cabernet pfeffer is unparalleled. 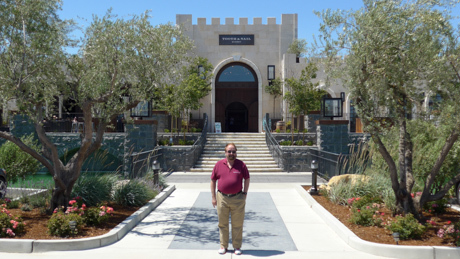 Sadly, we were among the last visitors to the Paso Robles tasting room. Health problems have forced Ken to scale back operations a bit. However, he continues to do wonderful things with grapes. We remain big fans. Ken has made several vintages of his justly famous “Jaybird” chardonnay. The name is derived from the well-known phrase, “Naked as a jaybird.” Like the eponymous bird, this chardonnay is oak-free and stainless steel only. The 2013 vintage ($22) is sourced from Santa Maria Valley grapes. Aromas of Meyer lemon and pear, followed by very light citrus and green apple on the palate. According to the tasting room host, the grapes are from the coast near Hearst Castle. The 2013 Steiner Creek Vineyard chardonnay from San Luis Obispo county ($36) opens with aromas of pineapple and melon, followed by citrus with a little oak on the palate. Volk’s 2012 pinot noir Santa Maria cuvee ($30) is an earthy-style wine with aromas of forest floor, and blackberries. On the palate, there are flavors of blackberry, cassis and Bing cherry. Finally, the 2012 Steiner Creek Vineyard pinot noir from San Luis Obispo county ($60). Floral aromas followed by cranberry, forest floor, and more floral notes on the palate. 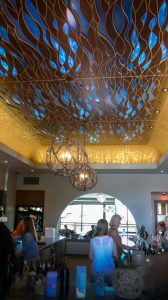 There’s one more part to this review that will cover two newcomers: Glunz Family Winery & Cellars and Broken Earth Winery. We’ll also catch up with our old pals from Calcareous Vineyard. 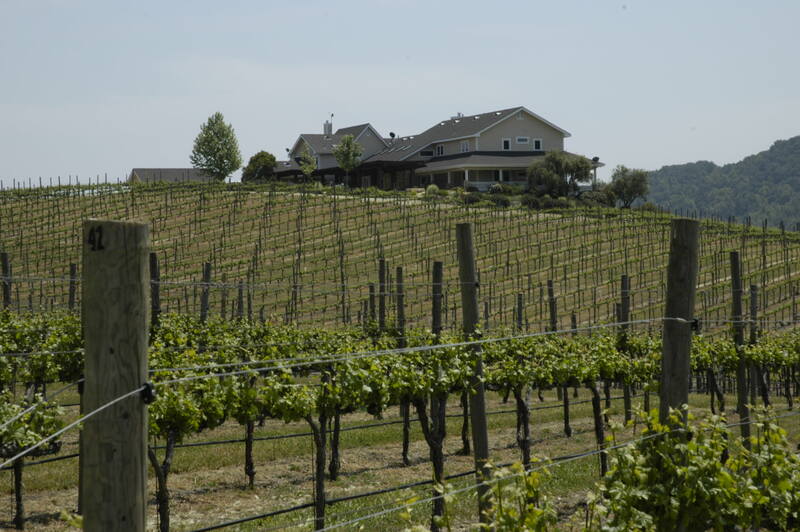 Paso Robles remains one of the most exciting growth areas of the California wine industry.